Are you making plans for New Years? You know it has to start with a kiss! 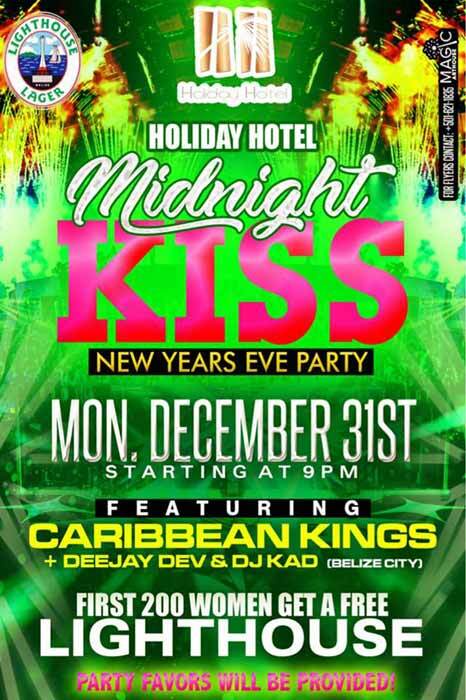 The biggest New Years Eve Party of Belize is here! Join us for our annual New Years Eve Party starting at 9PM. *Music by Caribbean Kings and DeeJay Dev and DJ Kad from Belize City! You can’t miss this the first 200 women to enter get a free Light House!